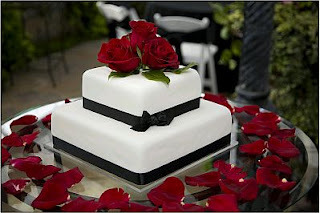 One of the most important issues in organizing a wedding, is the cake or pie to choose, we think that this should be part of all the rest of the organization and decor, therefore, whether the style is casual wedding , the cake should be too, if you used a certain type of details in the decor, the cake should also combine, and take into account details like these are the guarantee that everything goes well. 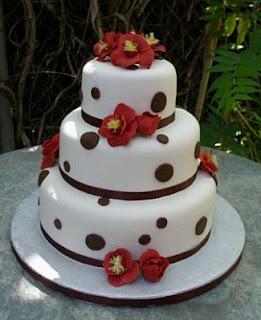 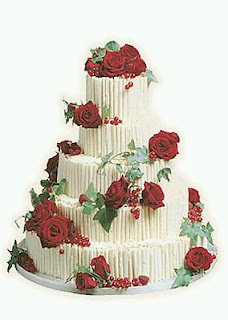 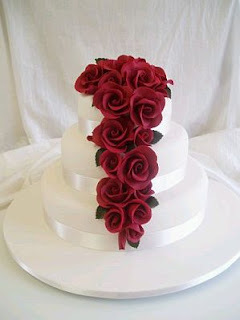 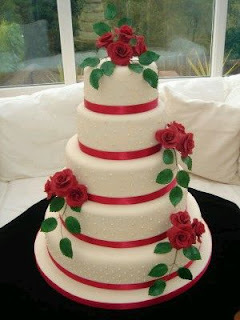 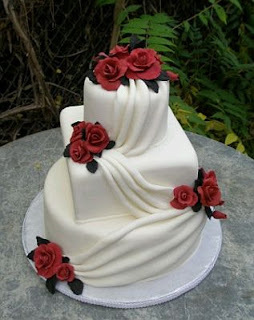 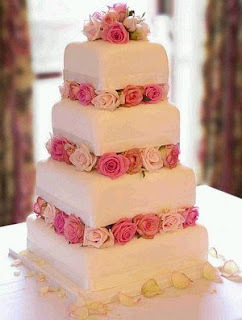 If you choose roses for your wedding, here are some interesting models of wedding cakes with roses of different colors. 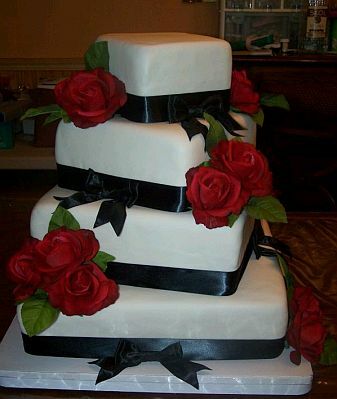 In this first model got a nice wedding cake adorned with black ribbons and red roses on top, at the base has a glass table with petals. 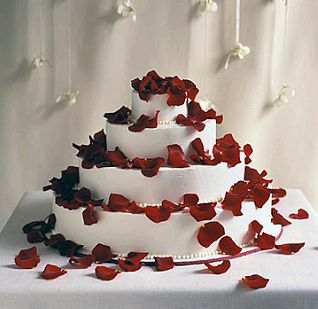 Beauty wedding cake of three floors, decorated in white and with ribbons of the same color, takes over a beautiful bouquet of red roses. In this beautiful four-floor cake, used roses of different colors, white, cream and pink, and were placed to separate a cake of another, on top, is a beautiful floral arrangement with the same shade of pink. This is a quirky cake model of three floors, the lower and upper floor have round cakes, while in the middle you have a square, each floor is decorated with red roses and a kind of tapes, worked with the same mass as was used to decorate. This is a five-floor cake, decorated with white and red ribbons at the base of each floor, and is decorated with red roses and green leaves. Extremely elegant wedding cake of four floors, decorated with ribbons, roses and calla lilies, dark orange tones. If your wedding is a more casual style, here's an interesting model in white decorated with ribbons and chocolate circles, and red roses on each floor. If you just want to impress your guests, surely you will succeed with this stunning wedding cake four-floor fully decorated with petals of red roses. 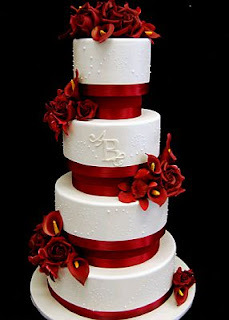 Another cute wedding cake model, four floor, decorated with ribbons and black ties and small bouquets of red roses with green leaves. Original model wedding cake decorated with four-floor white chocolate "cigarettes" and red roses on each floor. 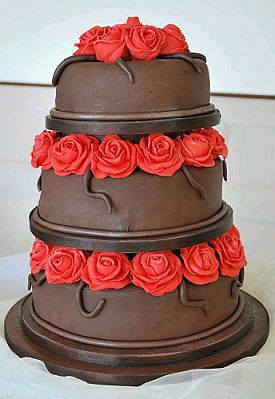 Finally, if you like the idea of ​​a wedding cake decorated with chocolate, here's a three-floor model, each separated by a wreath of red roses.